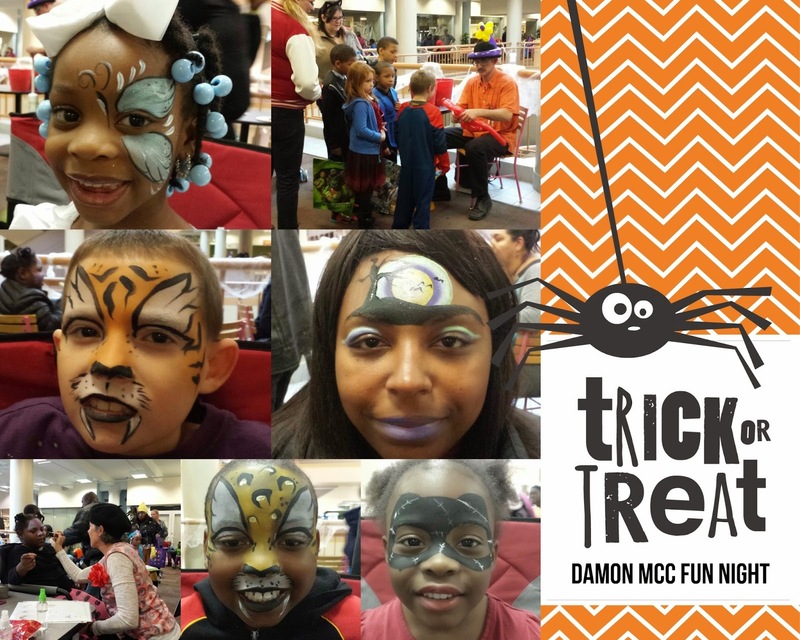 Fancy Faces & Friends face painting & balloon twisting at Damon MCC Campus for their Family Fun Night. The lines were so long we went overtime. Only took a few photos so we could keep things moving quickly. Thanks to Tina and Jeff for joining me on this gig. It was a challenging space to work in, trying to manage a line in a narrow space, but we figured out a system and it flowed well.